Babywearing is an incredible parenting tool. All parents carry their babies and children in their arms. 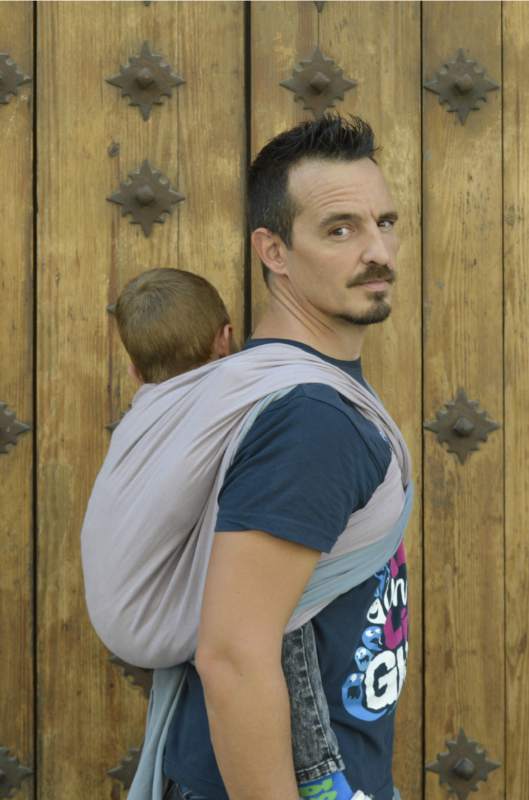 Using a sling simply means you can carry them and use your hands at the same time! Safety is absolutely vital when wearing your baby. From a safety perspective, how you carry your baby is often more important than which sling or carrier you use. Babies must always be carried upright, with their airways clear and the whole of their body supported by a snug, well-fitted carrier. That’s why it’s important to seek expert guidance. There’s a huge array of styles and brands on the market, which all suit different needs, body shapes and babies’ ages and stages. Choosing a sling is a bit like choosing shoes or a bra: different types and sizes suit different people, so it’s worth trying on a few before you buy. Keeping your baby close to you in a sling or carrier has so many benefits for the whole family. Babies feel happy and settled; it’s incredibly practical; it encourages babies to sleep; it can support postnatal recovery, gently improving your posture and core strength; makes babies with reflux or digestive problems more comfortable; it supports babies’ physical, cognitive and emotional development; and supports parent-child bonding and may ease symptoms of postnatal depression. 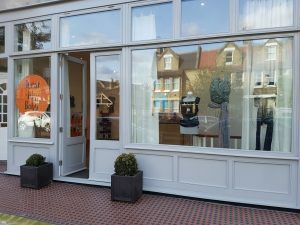 This Thursday London’s specialist baby carrier store, the Wear My Baby Boutique, opens in south west London offering a fantastic new service for families. As well as shopping, you’ll be able to get expert advice on how to safely wear your baby – and do so in style, with over 20 other brands available. There is even the opportunity to hire slings, so you can try out slings before you buy. 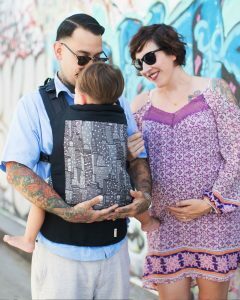 Baby carriers are not just practical, babywearing is an amazing parenting tool; carrying your baby close to you is also fantastic for their development. But the choice can be overwhelming and parents find it difficult to know which one to go for. This is where I come in. Our new pop-up Boutique offers a real one-stop service. As well as having a huge variety of slings, my team and I provide expert fitting and safety advice. Whether you want a supportive carrier like an Ergobaby or a pretty sling to wear to a wedding. The Boutique offers three baby carrying workshops every Thursday, so parents can get expert advice on safe and comfortable baby carrying. And if you can’t make to a workshop you can book in for a one-to-one consultation with one of the Wear My Baby team, in store or even in the comfort of your own home. From a safety perspective, how you carry your baby is just as important as which sling or carrier you use. That’s why it’s best to speak with an expert. My team and I are trained in showing parents how to use slings safely and comfortably. My passion for slings began four years ago when my first son Ben was born. Like most newborns he was happiest when being held. Using baby carriers meant I could get on with day to day life, get on the tube, and still enjoy a cuddle. After three years of giving sling help to local families, the Boutique is an exciting next step. Wear My Baby’s pop-up Boutique is more than just a shop. Wear My Baby has teamed up with the South London Sling Library to provide parents and carers with a sling hire service.